I had the pleasure of organizing a session at the 21st Accessing Higher Ground conference in Denver in mid-November—a conference that is attended by a lot of folks from Disability Services Offices (DSOs) from across the US—to help those folks realize how much the big higher education publishers are doing to make their resources accessible, with a focus on accessible EPUBs. “Born Accessible” is getting closer to the new normal! The publishers on my panel were from Cengage, Macmillan Learning, McGraw-Hill Education, Pearson and Wiley, and they all had compelling stories to tell. While I don’t have space here to get into everything they had to say (the consolidated presentation is available here), the message was clear: they are not just working hard on accessibility, they’re getting it done. All of them are producing new resources as accessible EPUBs that align with the EPUB Accessibility 1.0 specification. That means alt text—good alt text, done with an understanding of the nuances required to get it right—and in many cases extended descriptions of complex graphics as well. All of them are ensuring proper structuring and navigation. For resources that include media, most are providing closed captioning and transcripts. And those with math are providing MathML. They’re even working hard to get their tables right! But it’s more than just the products themselves. The corporate cultures need to be accessibility aware. Cengage, for example, is putting a major focus on Universal Design for Learning (UDL), including a significant staffing commitment: a Director of Universal Design and Accessible Technologies is already on board, and an Accessibility/UDL Specialist and an Accessibility/UDL Coordinator are soon to be named. Macmillan Learning’s presentation was all about the people and the processes, with a realization that just providing specs and expecting vendors to get it right is not sufficient. They have established a wealth of initiatives to foster knowledge of accessibility throughout their organization, with training and workshops that include vendors, creating a judgment free space to encourage motivation, participating in industry events and organizations, building a testing center in-house, and establishing an Advisory Board and Student Focus Groups to involve their constituents. 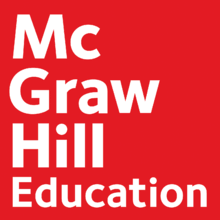 McGraw-Hill provided an in-depth look at the specifics, detailing both alternative text and extended descriptions not just for alignment but as captions and transcripts for audio and video content, enforcing contrast specs in their designs, use of MathML, using language tags at the page and phrase levels, and even tackling proper structuring of tables. Pearson stressed their end-to-end commitment to accessibility for both their content and platforms, all based on WCAG 2.0 AA conformance and alignment with EPUB Accessibility 1.0. 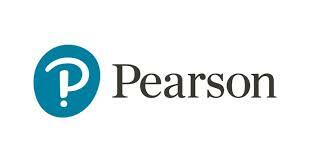 They are putting a special priority on making these accessible resources easy for students to obtain and use, through initiatives like their partnership with VitalSource to establish the Pearson Accessibility Store, all resources of which are guaranteed to be accessible, and partnerships with Kurzweil and T-Base to integrate well with those key technologies. Wiley is doing all these good things too. (They came last due to alphabetical order.) They are addressing accessibility not just for going-forward content, but for legacy content as well, and expanding into other business areas outside of higher ed. Because of the diversity and technical nature of much of their content, they are working on discipline-specific alt text guidelines. And like several of the other speakers, they mentioned that they are working with Benetech on their Global Certified Accessible program, expecting to be certified this summer. The message was clear: these folks are working hard on accessibility, and many of their products and platforms are much more accessible than students and DSOs realize. They’re doing this by aligning with standards and taking advantage of the right resources, like Ace by DAISY and the Accessible Publishing Knowledge Base. “Born Accessible” is getting closer to the new normal! The Association on Higher Education and Disability’s (AHEAD) 41st annual international conference is its hallmark event, drawing approximately 1,500 participants from around the world for a week of extraordinary professional development and networking. Presenters and participants come from diverse fields, including education, technology, law, scholarship, and government, but share a common interest in fostering equitable higher education experiences for disabled individuals. Registration, program information and details of how you can join this conference virtually as well as in person are available from the AHEAD website.